No! It was the elimination we were dreading. 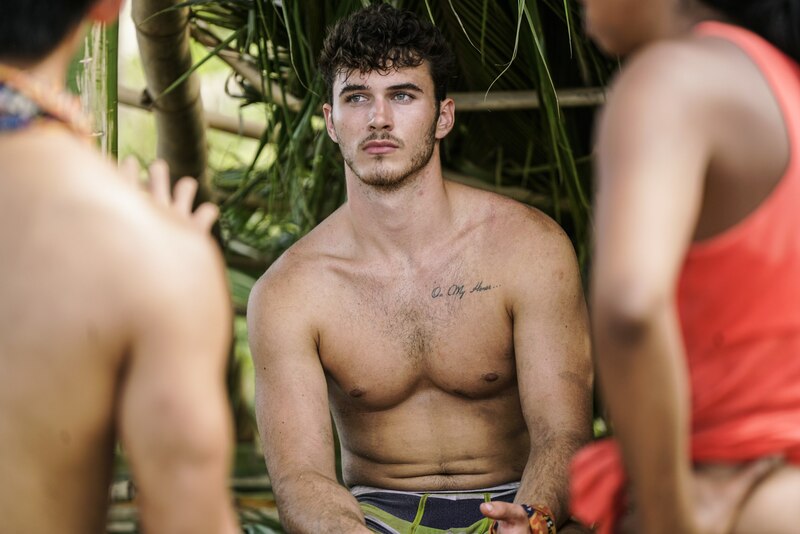 Michael Yerger, one of Survivor: Ghost Island‘s most likable players, was voted out of the game, much to the dismay of fans around the country. The pain is real. No sweat, though. 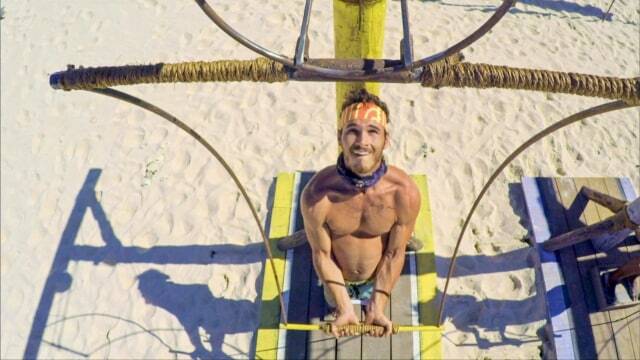 It seems like he is a likely candidate to play the game again, as Jeff Probst told Entertainment Weekly he would “invite him back in a minute.” His fans are so sad to see him go that there’s already a fan-made petition to get him back on the show. Michael wants another shot, too. Badly. 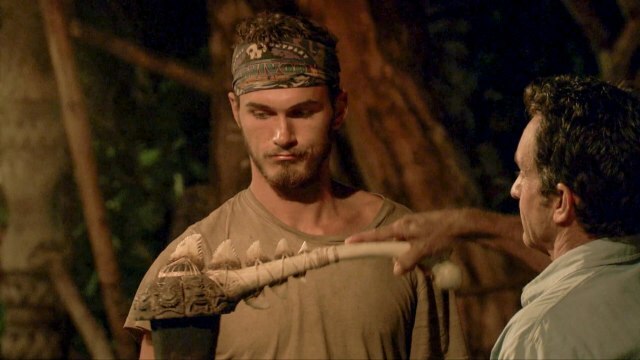 During our one-on-one interview, Michael explained why he stopped looking for hidden Immunity Idols despite his head being on the chopping block and discussed why Chelsea is playing a bigger game than anybody realizes. Plus, he told a great story about fans recognizing him on the beach during a modeling photo shoot. SheKnows: It was heartbreaking to watch your elimination because you’re such a smart player. What was it like for you, watching that moment on TV? Michael Yerger: It was great. Of course I was not looking forward to the boot because that’s the end of the road for me and the million. Of course it’s heartbreaking for me as well. I was with good company with Chris Noble and Desiree Afuye [watching the episode]. We had a good time reminiscing and talking back about things. It was a great episode. I thought it was an exciting Tribal. I was pleased with the way I went out. I’m there to win. I’m there to compete and play hard. I wasn’t excited to get the boot. SK: Going into that Tribal Council, did you think there was any chance you might escape the vote? MY: I was feeling, honestly, pretty confident. I thought we had something going. I had conversations with Laurel and Kellyn. I had sold Kellyn on the Idol thing, and I thought they were both really ready to take a shot at Wendell to blindside him and flush an Idol. I thought it was time, and they also sold me on it. I was feeling good. I also knew Tribal is live, and Dom loves Tribal. He always saves the good stuff for Tribal. I definitely had some fear in me still, but I didn’t think it would go the way that it did. SK: There was a twist in this episode that forced a double elimination. When I saw the group you were up against, it was obvious you would be the prime target. Were you thinking the same thing? MY: 100 percent. The hardest part was watching that challenge because I literally felt like it was built for me. Some of the balance things, I’m not great at. This was a little bit more of a brute strength and endurance type of thing. I was excited. Then I was like second out, and it was so depressing [laughs]. It was frustrating to watch back. You’re totally right, I knew from that moment I was screwed to be with that group. SK: You had been hunting and finding hidden Immunity Idols all season. 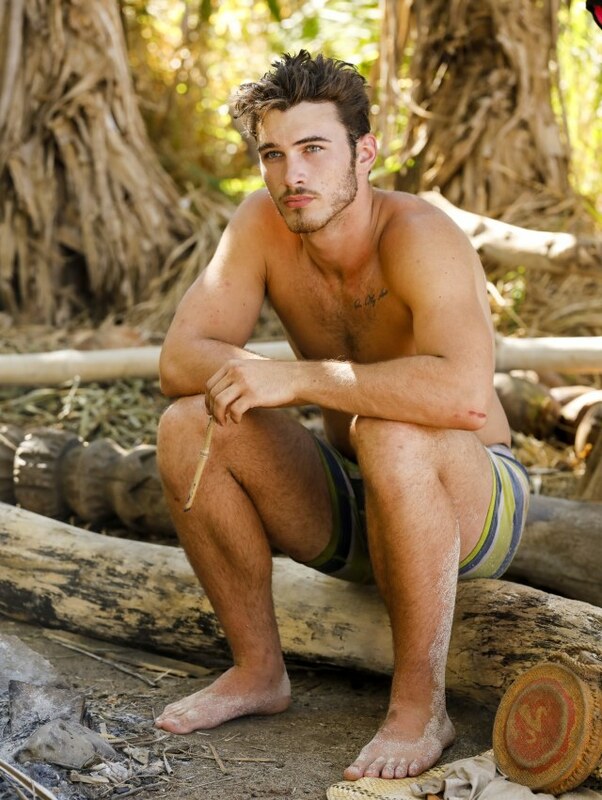 Were you still actively searching for an Idol before going to that Tribal Council? MY: After Donathan found that Idol, I honestly did not think there would be another Idol out there. I thought they would regenerate one later. I didn’t think the one Dom had found would be out there. I was not searching for Idols after Donathan had found his. Of course I was searching at the same time he did, but came up short. After that, I had kind of written off Idols and was really trying to work my social and strategic aspects of the game. SK: If you had survived the vote and Laurel went home instead, what was your next move? MY: I would’ve really worked the Naviti crowd. Having Laurel gone with so few Malolo, I think the Navitis would finally wise up and really take into account that now we need to do something to actually set ourselves up to win the game. I think I would’ve had a plethora of options at that point to at least take out one of them before I was the next biggest target. Hopefully, they would see the value in numbers and me being powerless. As far as going to the final three, I would’ve been fine taking Donathan or Laurel or Jenna or Kellyn or Sebastian. If we were able to get some of these bigger players out early enough, when the time was right, I had the best shot at winning if I could just guarantee I was with two other people who thought they could beat me. SK: Tell us about Jenna. Others have said they wanted to take her to the final vote because she would be easy to beat. Do you agree with that? MY: I disagree. I would say that Sebastian or Angela would definitely be easier to beat than Jenna. She went through tribe swaps. She was on the losing end with Malolo for a long time, so she’s an underdog to a certain extent. I think she played an exceptional social game. They really didn’t showcase much of it, but she really got along well with everyone. She was not very outspoken. She’s very calm, cool and collected and really flew under the radar for a lot of people. I think she would’ve had a lot stronger pitch at final Tribal than people think. Someone like Angela really never knew what the vote was going to be. She never wrote down the right name and was completely out of the loop. She was sporadic and all of her moves were unaimed. I think she would’ve been a no-brainer. Sebastian maybe talked game five minutes his entire time out there. SK: We haven’t seen much of Chelsea’s game. What is your take on her? Does she deserve this lacking edit? MY: I think that she’s playing a bigger game than people think because she’s so silent and hidden in her moves. Her conversations are quick, to the point and hidden. They’re with the same couple people, which of course is not great because she’s taking orders at times rather than influencing things. She really is doing more than the TV is showing. 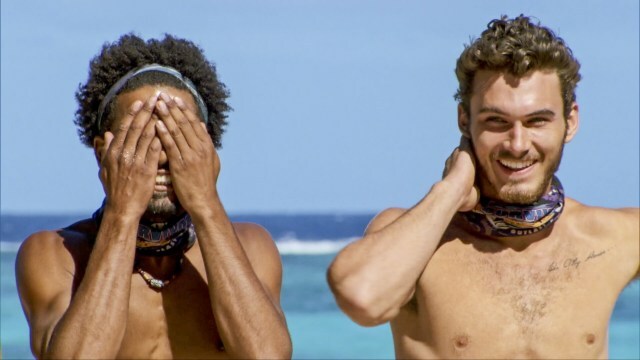 SK: On the flip side, Domenick and Wendell are two very visible power players. What is the difference between them? MY: That’s a great question. I’m glad you asked that because they’re both playing exceptional games. They’re both in the same power position and have different types of relationships. They both have Idols with physical wins. They’ve got pretty much the same chart, so it’s an even fight and a great power duo to protect each other for the time being. They’re in a great spot. Dom is very outspoken. He’s loud. He’s funny. He’s friendly. He really jokes around with people, gets along and tells great stories. He’s just a lot of fun. He really attracts people like that, and people gravitate toward him. Somebody like Wendell is more calm, quiet and kind of goes off to himself a lot. He’s a little bit more mysterious. He’s very charismatic and smooth, but they’re both playing exceptional social games in different ways. I think Dom has a lot more pull. He’s playing a lot harder of a strategic game, and he’s really on 100 like all the time. 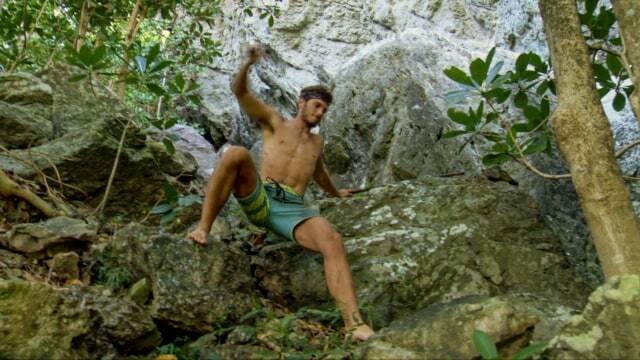 He sleeps, eats, breathes, drinks Survivor, and he’s just giving it everything out there. They’re both playing great, and it’s going to be exciting to see how things work out for them. SK: Fans seem to adore you. Are you getting recognized and do you have any crazy fan stories? MY: In L.A., everybody is doing something and there’s a lot going on, so it’s not really as much of a thing there. As I’ve traveled and gone different places, I’ve had some really fun and unique experiences and met some awesome people to talk Survivor and give some hugs. That’s been really fun for me. Being a fan for so long, it’s awesome to get to interact and be on the other end of things. I’ve had an amazing time. As far as a crazy experience, I was in Santa Monica on a modeling job. We were on the beach with some swimwear stuff. We had the lighting set up and everything when some girl and her friend just ran into the middle of set while everything was being shot. They just started jumping around and being all excited. She had apparently run a Survivor fantasy league for a few seasons in a row. It was so sweet. She was just super excited and amped up to meet a player in person. That was really fun. MY: I applied. I’ve watched since I was 8. For over 10 years I’ve been waiting until I could apply legally [laughs]. As soon as I turned 18 and they were casting, I sent in a video and heard back. It was really a dream come true. MY: I 100 percent would. I’ve got a lot more game in me and a lot more to give. I want to win. SK: Since you’re such a big fan, who do you think is the best player ever and what’s your favorite season? MY: Oh, man. I really want to stick to what I said at the start of the season. I love Denise from Philippines. She’s one of my all-time favorites. I love Malcolm, too. That pair, that duo to me, is one of my favorites of all time. As far as seasons go, I just loved Heroes vs. Villains. Seeing all the players I had grown up watching all together duking it out — it was such a hard, intense season. Do you want Michael to play the game again? Join the conversation by leaving a comment in the section below.